Arturo Chacón-Cruz, a native of Sonora, Mexico, has established himself in recent years as a leading tenor with exciting appearances in renowned theaters and concert halls across the globe, having sung over 50 roles in more than 20 countries. 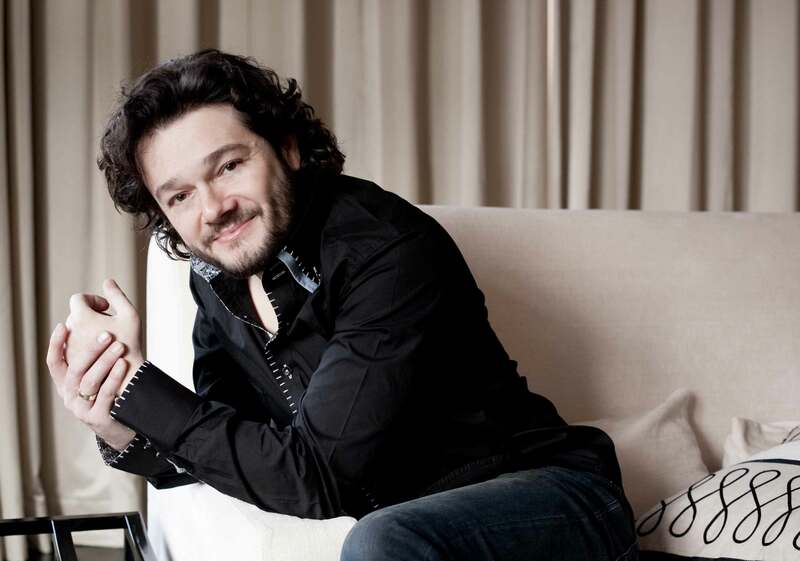 Since winning Plácido Domingo’s Operalia Competition in 2005, Arturo’s career has seen a successful, and steady development. His repertoire spans from Bellini and Donizetti to Puccini and Verdi. Some of his more sought after roles are: Rodolfo, the Duke of Mantua, Alfredo, Jacopo Foscari, Gabriele Adorno, B.F. Pinkerton, Hoffmann, Werther, and Romeo to name a few. Recent highlights include: The Duke in Rigoletto (Verona, Los Angeles and Florence), La Boheme (San Francisco and Hamburg), La Traviata (Munich, Valencia, Moscow and Rome), Ruggero in Puccini’s La Rondine in Genova, Werther in Barcelona, Des Grieux in Massenet’s Manon in Monte Carlo, Don Jose in Carmen (Tel Aviv, Lyon, Palermo and Zurich), as well as a critically acclaimed role debut as Macduff in Los Angeles and Vienna. Recent collaborations with star directors Sofia Coppola (La Traviata, with Valentino costumes) and Woody Allen (Gianni Schicchi, available in DVD and BluRay by Sony) resulted in international acclaim and all sold out performances in Los Angeles, Valencia and Rome. Upcoming performances include his role debut as Nemorino in Palermo and Macau, Rigoletto in Naples, Budapest and Hamburg, plus other role debuts as Cavaradossi in Tosca in Oviedo, Rodolfo in Luisa Miller in Barcelona and Rafael in Penella’s The Wild Cat in L.A., as well as concerts in Mexico City, Oman, San Francisco and Paris, among many others. In addition to an extensive existing operatic discography, the artist’s first solo CD is available. “Arturo Chacón le canta a México”, features some of the most beautiful Mexican music ever written, and is accompanied by the Orquesta Filarmónica de Sonora. Upcoming recordings include Arturo’s first ever Mariachi recording “de Mexico para el Mundo” coming soon distributed by Sony. Arturo shares a long and important relationship with two of the reigning opera singers of our day, Plácido Domingo and Ramón Vargas. Since discovering Arturo in 2000, Plácido Domingo has remained a friend and mentor of the younger artist, and the two have shared the operatic stage and concert platform many times. Arturo was awarded the Plácido Domingo Scholarship and Mr. Domingo himself helped launch Arturo’s international career after Arturo’s success in the Operalia Competition. Arturo also enjoys a nurturing friendship with Ramón Vargas who became a mentor, teacher and friend over a decade ago. Arturo currently lives in Miami with his wife and his son.